Lifetronic's level of service and knowledge of the Control4 product suite was far superior to any other provider that I have worked with. Lifetronic Systems uses the top two brands of smart home technology, Control4 and Savant. Both apps can control systems locally over a WiFi network, or remotely over a cellular 3G/4G network. Regardless of how you connect to your system, or what system you choose, you can control lights, adjust the temperature, view cameras, open/close garage doors – and much more! – simply with easy taps and gestures on your mobile device, at home or on the go. Both Savant and Control4 are world-class products, and we feel confident installing either system to make your home or business as intelligent as you want it to be. 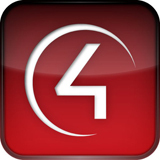 Control4 entered the smart home market many years ago and integrates with your PC, Mac computers, iPads, Android and Kindle tablets as well as iPhones and Android smartphones. With new electronics hitting the market daily, Control4 allows for seamless integration throughout your home or business. 4Sight: An Internet service that emails or texts you customized notifications from your home – water leaks, intrusions, fires, or even when your kids get home from school – when you are away. 4Store: The application marketplace that can enhance your Control4 system just like apps have boosted the capabilities of your smartphone. Examples of dedicated apps for the Control4 system include: a Smart lock app to add/remove users and their codes for your door lock; the advanced equalizer app for your whole house audio system; or the Video Wall app to easily control multiple TVs in a sports bar or a man cave. TrueImage Control: Every control screen in each room or on your Apple operating system (iOS) device features an image of the room instead of an icon. Each touch allows for dimming or on/off lighting control, the raising or lowering of shades, or powering off/on of audio and video components. Once touched, the image is illuminated on the iOS device, confirming your command. You zoom out to view a graphical image of the entire house or facility, allowing for easy navigation between several areas or rooms. SmartEnergy Monitor: Energy usage and production is measured in real-time, providing historical data and detailed information on electricity usage and costs. Users can reduce energy consumption immediately by dimming lights, adjusting heating and air-conditioning systems and running major appliances during off-peak hours. This option itself makes Savant Lite app an ideal choice for “green” customers. 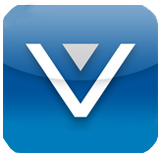 HVAC Scheduler: This app allows for instant changes and scheduling of climate set points throughout areas of your home or business. Local Service Areas: Lifetronic Systems of Westport, CT, serves all of Fairfield County, CT, and Westchester County, NY, including: Westport, Wilton, Weston, Redding, Easton, Fairfield, New Canaan, Darien, and Greenwich. We also travel beyond Connecticut and New York upon request.